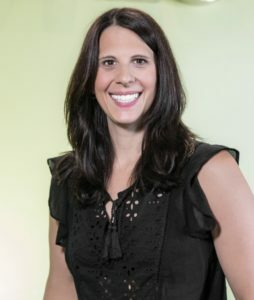 Dr. Jennifer LaSasso completed her Doctorate in Dental Medicine at the University of Medicine and Dentistry of New Jersey (now Rutgers School of Dental Medicine) where she was a recipient of an academic scholarship. Her professional studies continued at New York University, where she completed an Advanced Education Program in Pediatric Dentistry and served as Chief Resident. Dr. LaSasso is highly qualified to treat infants, children, adolescents, and those who have special needs. Her philosophy of care hinges on the connection between oral health and overall health, and she ensures her patients and their families are well-educated about dental issues. Her passion for public-health dentistry has led Dr. LaSasso to be involved in outreach to Nicaragua, Mexico, and the Dominican Republic, treating children who do not have access to dental care. Her goal is to continue this work at home and abroad. Dr. LaSasso resides in Morris County with her husband, newborn son and their two dogs. Outside of work, she enjoys spending time outdoors, yoga, cooking, reading and being with her family. She is excited to join the Pearly Whites team and is looking forward to being back in Berkeley Heights where she spent her early childhood years.